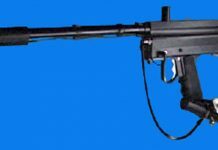 The Cyber 9000 was the first paintball marker to feature a LCD screen. 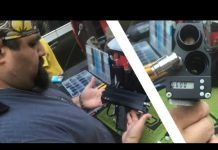 Wath Tim at PaintballTek as he tests one of these markers to see if it will function. 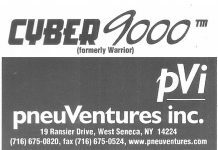 An ad for PVI that was printed in the back of the 1997 NPPL World Cup program explains PVI's split with Smart Parts and the upcoming Cyber 9000 paintgun. 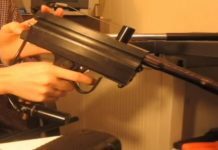 pneuVentures' Shocker was the first mass produced production paintball marker available. PVI later prototyped the Cyber 9000, but it never make the market. Ynda explains the history of the Cyber 9000 and the various model of the Shocker produced by PVI and Smart Parts.